Inspired by Japanese print work, Stella globe is punched with an intricate wave motif making it classic and elegant. 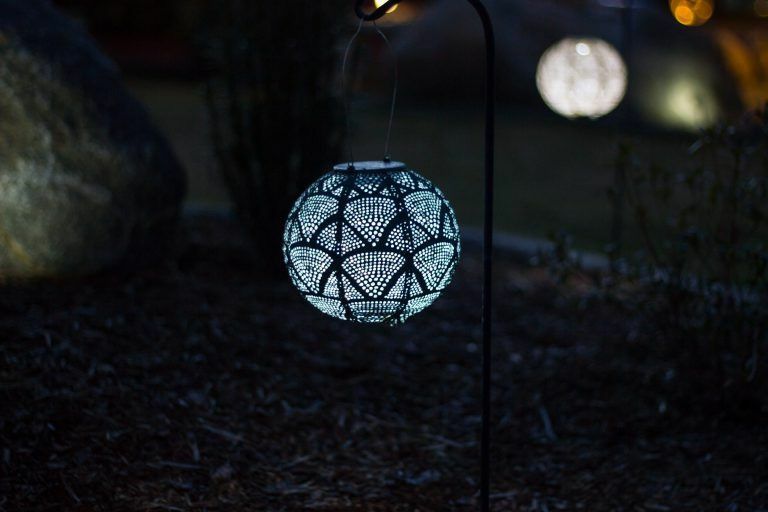 Created from ultra-durable Tyvek and punched with intricate custom patterns, this lantern will turn itself on at dusk to cast captivating patterns of light each night. 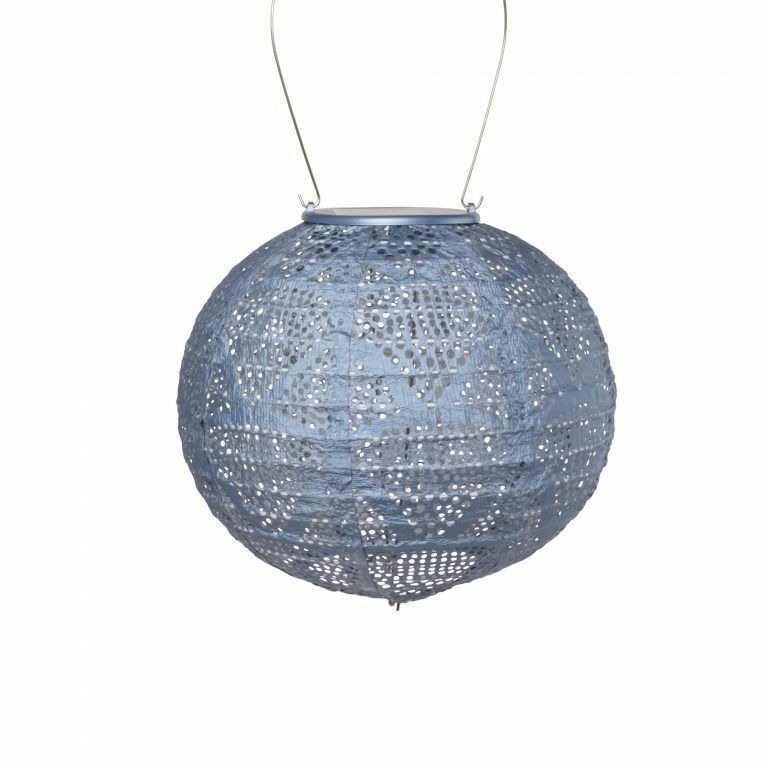 Lantern includes a stainless steel hanging handle, solar panel, a built-in light sensor, one AAA rechargeable battery, and a dual white LED light.